This is a must read for anyone considering a salt water pool. First, let us understand that a salt water pool still uses chlorine as the main sanitizer. Your pool water will not taste or feel like ocean water as salt water pool salinity is far lower than the ocean. There are some advantages and challenges that we will go over on this page, so read through and make up your own mind if you think a salt water pool service is for you. One major benefit of a salt water pool is convenience in dealing with chlorine. You do not physically have to add chlorine to the swimming pool. You merely turn a dial and raise or lower the generation amount of chlorine to the pool water. You still have to balance your pH and alkalinity by adding acid directly to the pool water though. This is, because the generated chlorine will spike up ph and alkalinity and the higher the generation, the higher the spike. Another major benefit is that the generated chlorine is basically pure chlorine without chemical byproducts. This makes for a potentially cleaner, more pure sanitizer in your pool water. Many of our customers have described their salt water pool as being easier on their eyes, hair, and body. You can expect a smoother, softer swimming pool due to the salt in the water and the more pure chlorine used to sanitize the water. In addition to these benefits, you don’t have to store or purchase chlorine sanitizer in your truck or yard. You could argue that they are a more green alternative to traditional chlorine swimming pools. This means less toxic chemicals on our streets, in stores, and in our yards. You can expect an easier process to adding chlorine to your swimming pool water with a salt water pool service. Raising and lowering the chlorine generation level is also very convenient vs. having to transport and add. 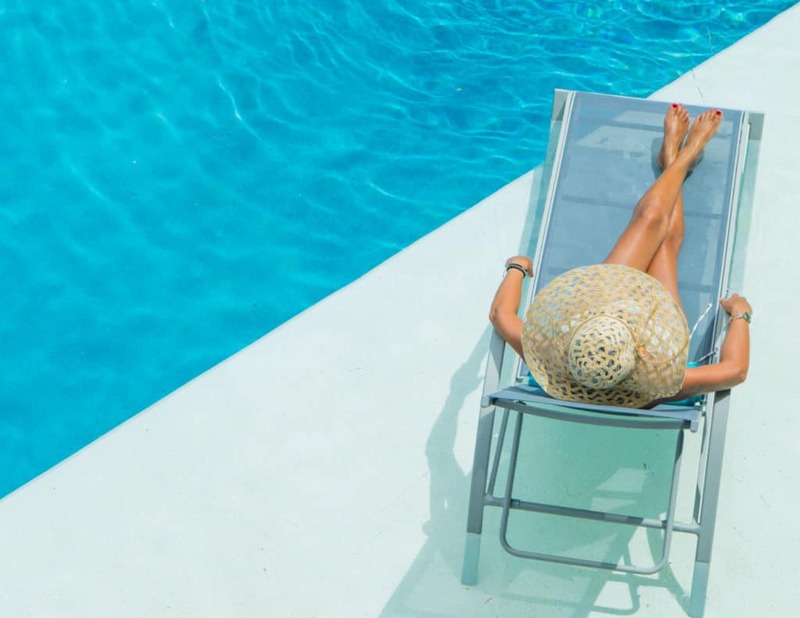 This means that so long as the salt water pool service is working well, it is hard to not maintain ideal chlorine levels in your swimmiing pool water. 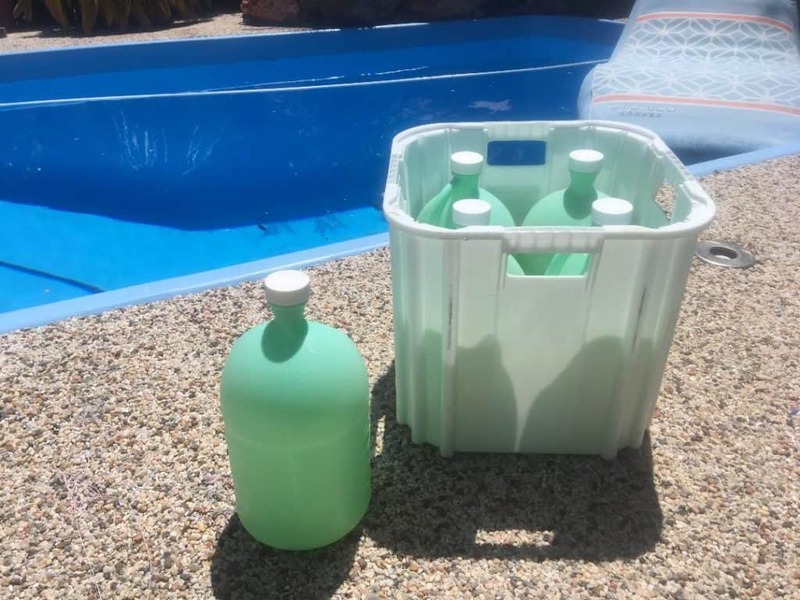 We must also understand that we still have to store and add acid and balance all the other components for perfect pool water chemistry, so let’s dive into some challenges with a salt water pool service. Many people think that salt water pool service is easier than traditional chlorine swimming pools, but let’s consider a few challenges. First of all, the control panel for the generation cell is a computer and parts go bad. These parts are not cheap and you have to maintain your chlorine levels if the salt water swimming pool system is working or not. The salt cell’s also have a lifespan much like a light bulb (3 to 5 years on average). The more they generate chlorine, the quicker their lifespans diminish and need replacing. These salt cells cost anywhere from $550 to $700 at the time of this writing. There is maintenance involved with these salt cells as well. They need to be inspected and cleaned with an acidic solution every 3 to 6 months on average. Again, the more chlorine generated, the more maintenance and replacement needed. 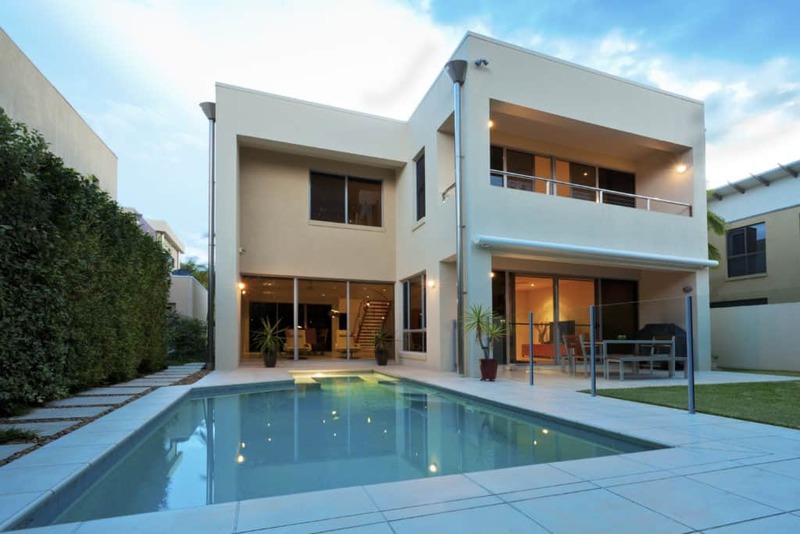 This can be especially problematic if you are not a salt water pool service expert expert and allow your pool conditioner to stay at very low levels. If you do not have enough conditioner in your swimming pool (50ppm to 80ppm), your chlorine will strip out of the water prematurely and need to be replaced more often taking life away from your salt cell. If you are starting to think that a salt water swimming pool system costs a lot of money, you are right! Now, here is the major flaw I see with a salt water swimming pool. Most salt water pool systems need over 3,000 ppm of salinity (salt) in your swimming pool water. This means that a brand new salt water pool will have high total dissolved solids in the water from it’s most pure state. 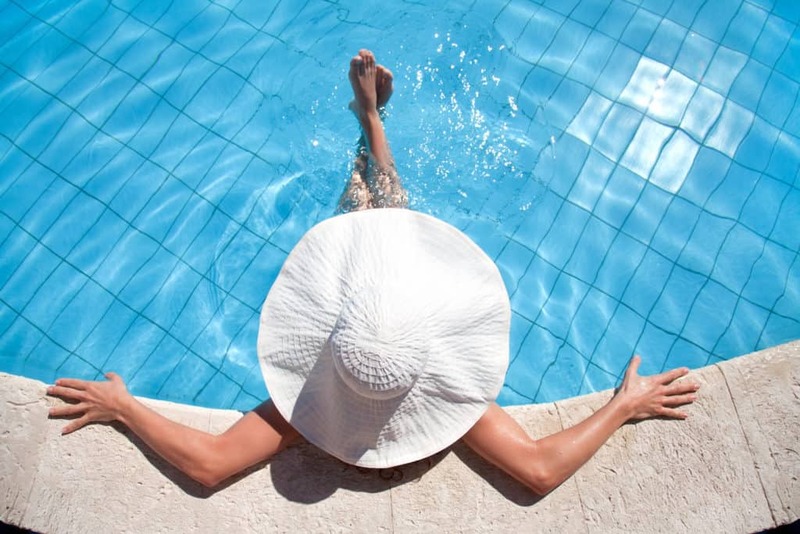 You can count on white scale depositing on everything that your pool water comes in contact with including pool tile, coping, plaster, boulders, decks, etc. Our experience has been that this white depositing happens much faster with a salt water pool service. 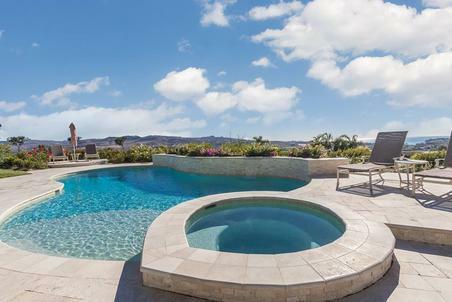 You must know this before installing or converting to a salt water pool. The more your salt water swimming pool generates chlorine, the more your pool water pH and alkalinity will spike up. We aim to keep our pH between 7.2 and 7.6 and our carbonate alkalinity between 80 ppm and 120 ppm. 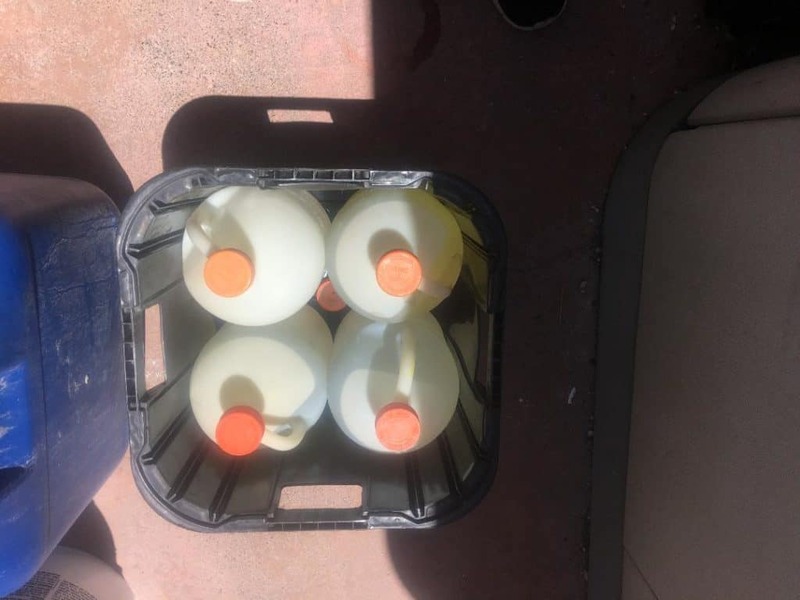 We add muriatic acid nearly every week with our salt water pool service. We need to be on top of our conditioner, pH, and carbonate alkalinity levels even more so with a salt water pool. As easy as some sellers of these salt water swimming pool systems make them apear, we pick up a lot of customers who thought they could perform their own swimming pool cleaning service. The most common issue is not enough conditioner and high or low salinity levels. These salt water swimming pool systems will measure an inaccurate reading on the salinity level if the salt cells need cleaning or need to be replaced to make it even more challenging. 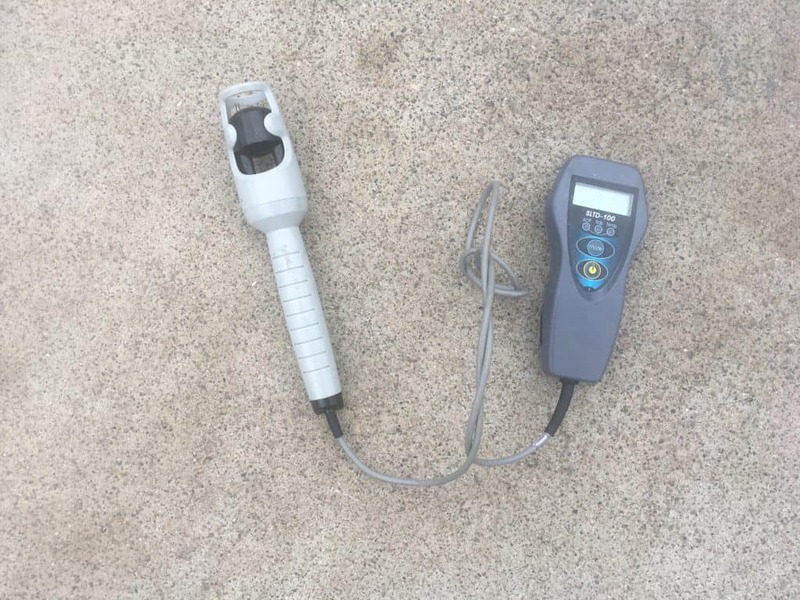 A good, working digital salinity tester is necessary to confirm readings with your salt water pool service. It is quite common for less skilled salt water pool service companies to keep adding salt, because the salt water control panel provides a lower than accurate salinity level. We train our service techs. to test the water salinity with a good digital salinity tester before adding salt. This lower than accurate reading is usually a signal that the salt cell needs cleaning or replacement. You need to be an expert with pool water chemistry and salt water pool service for proper maintenance and operation with a salt water pool. Orange Salt Water Pool Service, Newport Beach Salt Water Pool Service, Westminster Salt Water Pool Service, Irvine Salt Water Pool Service, Fountain Valley Salt Water Pool Service, Santa Ana Salt Water Pool Service, Garden Grove Salt Water Pool Service, Costa Mesa Salt Water Pool Service, Tustin Salt Water Pool Service, Villa Park Salt Water Pool Service, and Orange Pool Cleaning Service.